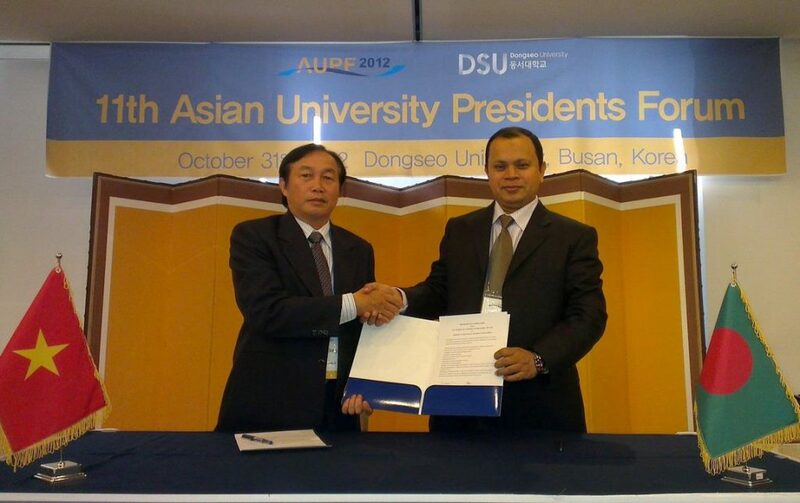 Daffodil International University (DIU) has signed 16 bilateral Memorandum of Understandings (MOU) on International Partnership Programs with sixteen different universities of various countries today on 31st October 2012 at 11th Asian University Presidents Forum (AUPF) held from October 28-31, 2012 hosted by Dongseo University at Busan in South Korea. 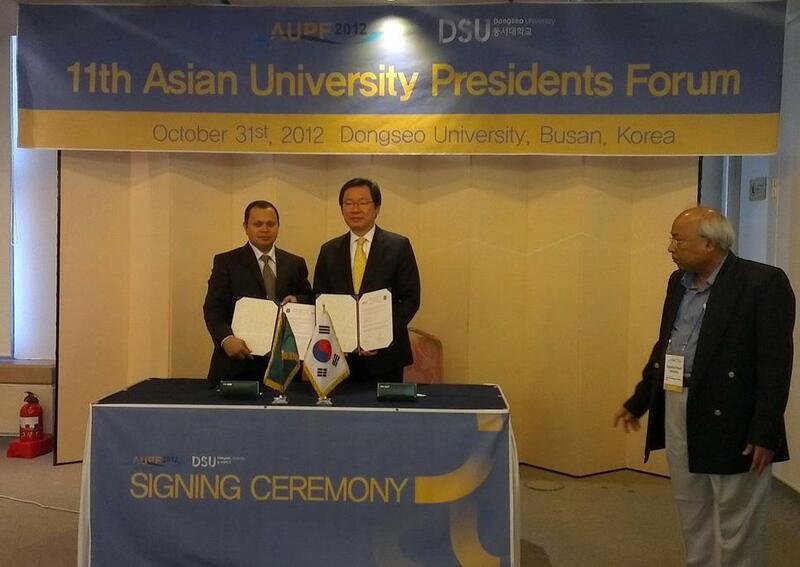 Daffodil International University signed MOU and International Collaboration with Dongseo University (Korea), Cambodia University, Sikha O Anusandan University (India), Petra University (Indonesia), Salahaddin University (Iraq), UPM University (Malaysia), Mongolia University, Another University (Phillipines), Vietnam University, Sias International University (China) and many others. These separate bilateral agreements aims and from of co-operation on: Exchange Students, Exchange Faculty Members, Exchange in Research, Twinning Programs and Centers of Excellence. Through these MOU DIU students will get the opportunity to enjoy lot of international collaboration. Mr. Md. Sabur Khan, Chairman, Board of Trustees of Daffodil International University represented and he presented its views on the development of higher education in our country. He took active part in the whole program, visited the entire area, presented his paper, attended question-answering session and signed 16 MOUs on behalf of DIU. 72 top Universities from Asia joined this great gathering. 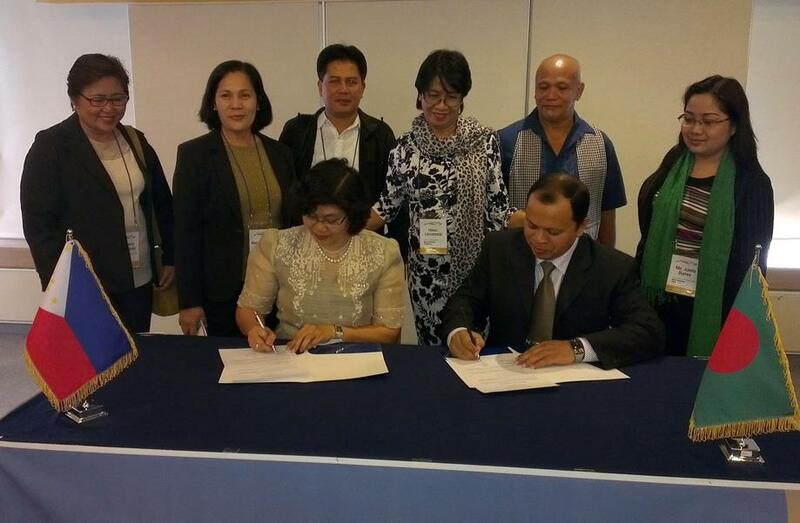 Picture with Phillipines University president.